If you’re interested in selling flowers online, then this guide to starting an internet flower shop will probably interest you. Read on to find out more on it. For those of you looking to get started running your own business, the internet presents some of the most profitable opportunities around. No matter what you want to sell (whether it’s a service or a product), you’ll be able to find a buyer on the internet thanks to its vast, interconnected nature. A domain that many people don’t consider when starting up online marketplaces is the sale of flowers. In this guide, we’re going to look at some of the key tips so that we can make it easier to start your own flower shop on the internet. The online marketplace is huge, and some niches have yet to be explored fully. The first thing that you should do when starting any new business is to take some time and account for the people that you will be selling your goods to. When you understand who’s going to be buying your flowers, you’ll be much more likely to set up your business in a way that caters to them. Of course, examining the market is also a smart way to see whether or not starting a flower shop on the internet will be a worthwhile investment. Nobody wants to spend a bunch of money setting up a business only to discover that it wasn’t worth doing so in the first place, so do your research. Once you’ve done your market research and found a favorable result, you’ll have to set up a plan for how you’re going to establish your business. Having a plan to follow means that you’ll always have something to fall back on if you suddenly find yourself lost in the process of setting things up. Having to adhere to a plan will also make you much more likely to remain attentive while setting up your business. Since you’ll already have your goals laid out, it will be much more of a challenge for you to cut corners. To do so, you would likely have to alter the plan and your anticipated results. When you’re first setting up your new online flower business, you’ll have to pay attention to the amount of money that you anticipate spending, but you’ll also have to account for overruns. Always ensure that you have at least 10 to 20% more money for the project than you anticipate at first. You don’t want to be afraid of investing in your new business, but you won’t want to do so recklessly either. Keeping a close eye on your expenditures means that you’ll still be able to cut your losses and leave without falling prey to your sunk costs by that point. Finances are king in any business, and that is also the case here. 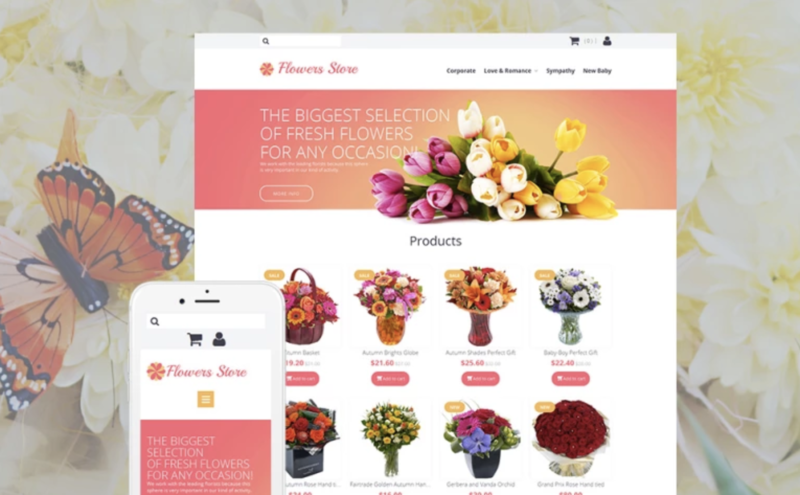 If you’re looking to start up a new online business, why not give an internet flower shop a try? We hope that we’ve been able to help you decide on the right course of action.